Maralyn A. Rumbaugh, 94, a resident of Golden Heights, Irwin, died Sunday, Aug. 19, 2018. She was born May 15, 1924, in Unity Township, a daughter of the late James and Cecelia (Allison) Mears. 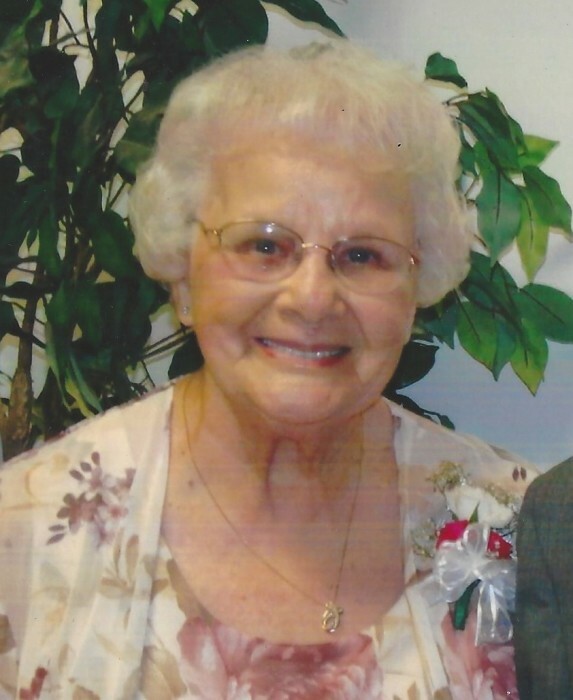 She was a member of South Greensburg United Methodist Church. Maralyn was retired from Troutman's Department Store, Greensburg. In addition to her parents, she was preceded in death by her husband of 71 years, Donald Rumbaugh Sr.; an infant daughter, Sharon; and siblings, Ruth, James, Cecelia, Cecil and Claude. She is survived by her sons, Donald (Barbara), Barry (Sandie), Rodney (Karen) and Mark (Melinda) Rumbaugh; eight grandchildren, Kimberly (Jared) Ewing, Jeffrey (Rhonda) Rumbaugh, David (Renee) Rumbaugh, Megan Hayward, Breanne (Kyle) Milligan, Renee (Michael) Eiseman, Nicholas (Randi) Rumbaugh and Amber Rumbaugh; 16 great-grandchildren and one great-great-grandchild; numerous nieces and nephews; a sister-in-law, Katherine Mears; and a special niece, Connie Rugh. Family and friends will be received from 4 to 8 p.m. Tuesday at KEPPLE-GRAFT FUNERAL HOME INC., 524 N. Main St., Greensburg, where her funeral service will be held at 11 a.m. Wednesday with the Rev. John E. Gerber officiating. Interment will follow in Hillview Cemetery. In lieu of flowers, memorials may be made to South Greensburg United Methodist Church. To share a message of sympathy, please visit www.kepplegraft.com.